Part of the SmartGate product family, the G Smart is an innovative controller for distribution networks that integrates both MV and LV network control and monitoring. While targeting advanced transformer station automation and MV circuit/feeder automation together with smart metering gateway and meter data concentrator, G Smart units can also be applied in advanced smart grid applications. By integrating multiple automation functions with downstream LV smart meter data collection and management through multiple standard communication interfaces, G Smart enables true smart grid solutions from MV and LV network automation through street lighting, demandside management, EV smart charging and microgeneration control. 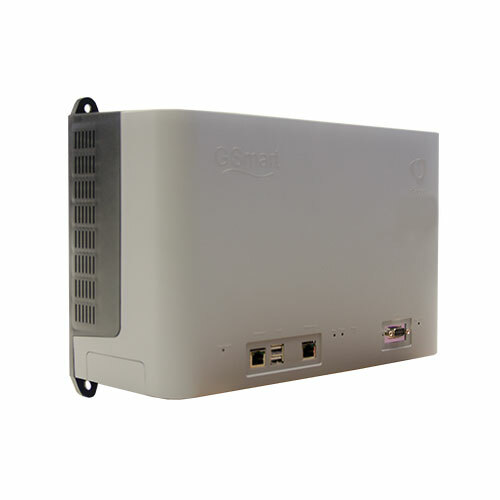 The G Smart includes built-in Web server, I/O, data storage, fault detection, communications, condition monitoring, local energy metering and power quality analysis, as well as extensive self-monitoring. Full programmability in IEC 61131-3 languages along with software APIs allow user-defined algorithms and advanced applications to be implemented according to the needs of each project. Virtual G Smart, a software-only variant of the G Smart controller, is also available for smart metering data collection applications.